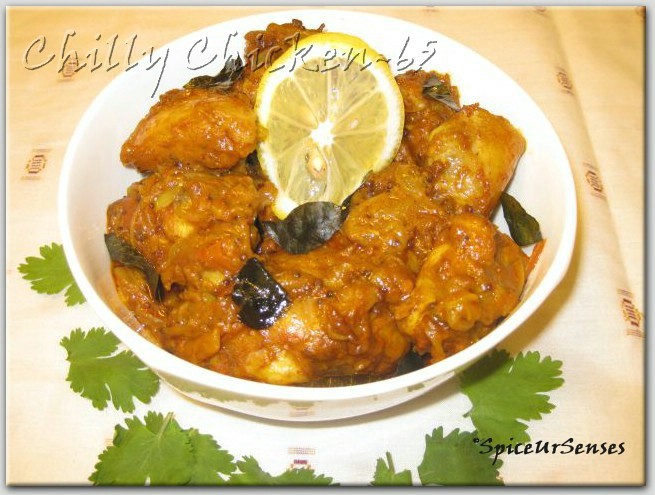 Mother's day special, Chilly Chicken-65. I am strong advocate of that Mother's are Best. Mother's are very important part of family and binds family together. I was very close to my mother. After my marriage, ofcourse i was very happy but somewhere in the corner of my heart i was feeling bit down as i have to be away from my family and mother.But because of my mother in-law i never felt that i am away from my mother as she also me as my mom. I am very happy that after 2 days i would be going back to India and would get a chance to meet everyone. Then add masala's and green chillies fry it for 2minutes, after that add corn flour and lemon juice, mix it up gentely, cover the lid and cook chicken till it is done and the oil floats on top. Keep stirring in between. Serve hot with Roti or as a Side Dish. Happy Mother's day to you.Have a safe trip back to home. really delicious chilly chicken 65..
What a lovely post for Mother's Day. How lucky are you to have a wonderful mother, and a mother-in-law! I love your dish. It looks delicious! Happy Mother's Day, dear. 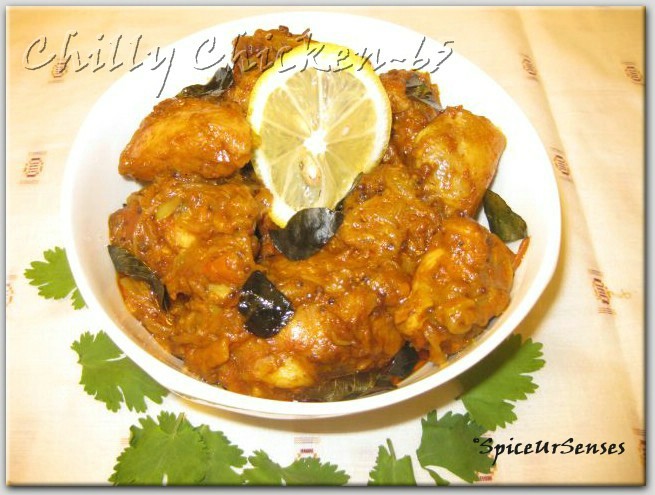 Looks appetizing, lovely chicken recipe. Happy Mother's day dear..Enjoy ur India trip with ur family...Chicken recipe looks soo good n delicious. What a flavourful chicken dish! Looks absolutely tempting. WOW...this sounds interesting n delicious...never tried it at home....looks gr8. This looks irresistible!! Makes me hungry. 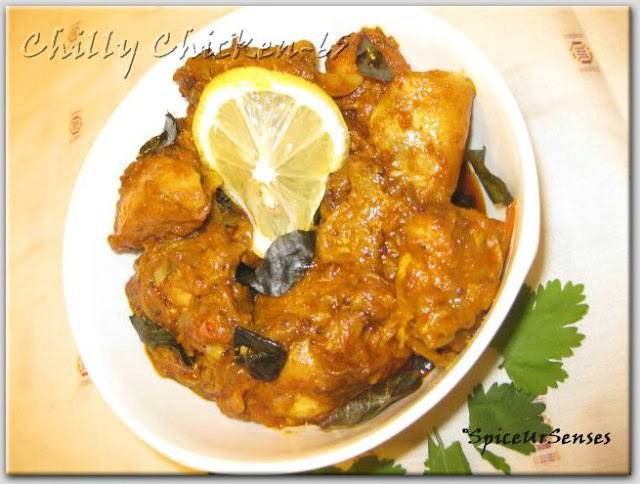 Spicy and tasty chilly chicken..Nice write-up, Rumana..
hope you had a great mom's day...this looks scrumptious...hve fun in India !